Should I Fix Foundation Issues Before Buying Or Selling A Home? Foundation Repair Issues Are Best Resolved Before Selling Your House. Do you think you should fix foundation issues in your Dallas, Fort Worth area house before selling it? Foundation repair can help solve problems. 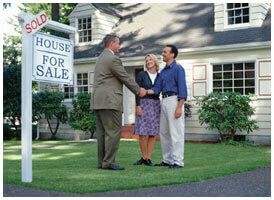 Homeowners have to disclose if their house has foundation issues when trying to sell it? The majority of states, including Texas, do require that sellers divulge information about all issues associated with their house, including foundation problems. While sellers are not required to fix problems, they must let the buyer know about them. It’s important to recognize signs of foundation issues. It is advisable for the seller to fix any foundation issues prior to putting a house on the market because it is difficult for a buyer to obtain a mortgage if the foundation is damaged. Of course, if the buyer is paying cash and does not require a bank loan, he/she may be prepared to buy the home “as is.” It’s also important to note that most buyers are extremely reluctant to buy a house with any structural defects, so it’s best to just to do work in advance of selling. As part of the home buying process, savvy buyer will order a thorough house inspection performed by a licensed structural engineer prior to purchasing a home. During this inspection, a qualified inspector will be able to detect any damage to the foundation. What does a foundation repair inspector look for? Area foundation inspectors will search for various signs of foundation problems. These may include crooked doors, gaps between frieze board and the brick, separation of brick from the window frames, cracks in the drywall, warped floors and more. Homeowners who think they may have foundation problems are well advised to consult with a reputable contractor like HD Foundations prior to listing their home. 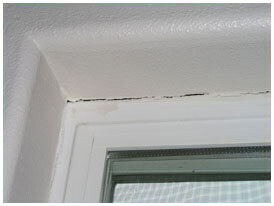 Beforehand or after selling, foundation repair problems should be fixed. Either way, repairs must be made. 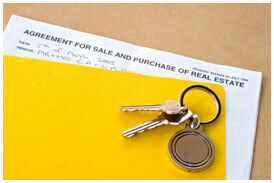 It’s the only way to ensure that you property is protected. How to decide if the buyer or seller should fix foundation issues? If you are in Dallas, Fort Worth, Plano, Arlington, Irving or other local DFW, Texas cities, and you’re a seller that was not aware that you had foundation repair problems prior to the inspection, you may wish to work out an arrangement with the buyer whereby you pay to fix the structure and then include the cost of the work in the house sales price. This is one way of making sure foundation issues do get fixed beforehand, when buying or selling a home. Repairs to fountain can be costly so it’s important to get this resolved. This will allow the buyer to include those repair costs in the mortgage price, thus saving them out-of-pocket expenses. In some instances, the buyer would prefer for you to reduce the cost of the property, thus allowing them to deal with a contractor of their own choosing. Whether you are purchasing a home or selling one, it is important to obtain and keep copies of all documents relating to foundation repairs, disclosure and engineering reports, and anything else associated with foundation repairs. The financial institution that is funding the buyer will require this documentation prior to lending money to the buyer. Because the cost of foundation repair can be extensive if a home is extremely damaged, it is imperative to have a house foundation thoroughly inspected before buying the home. Experienced real estate investors recognize that it does not pay to buy a home with a damaged foundation unless they are certain that they can quickly recoup the cost of the these repairs.